CBR Bearing, Inc. is a Fallbrook, Ca company that specializes in providing ceramic hybrid ball bearings for industrial electric motor repair and other performance applications. Through their proprietary build process, CBR has been providing top quality ceramic hybrid and steel ball bearings to customers around the world for over 20 years. CBR’s existing website was over 10 years old and did not serve to promote their brand and product to their target audience, the industrial electric motor repair industry. The site was outdated aesthetically and did not allow customers to interact with the company on the latest mobile devices. The new CBR Bearing website features a clean, modern layout with an industrial feel that speaks directly the company’s target market. The site delivers a concise message to their worldwide customers, while seamlessly conveying the detailed ceramic hybrid ball bearing build process and the factors that differentiate CBR from its competitors. 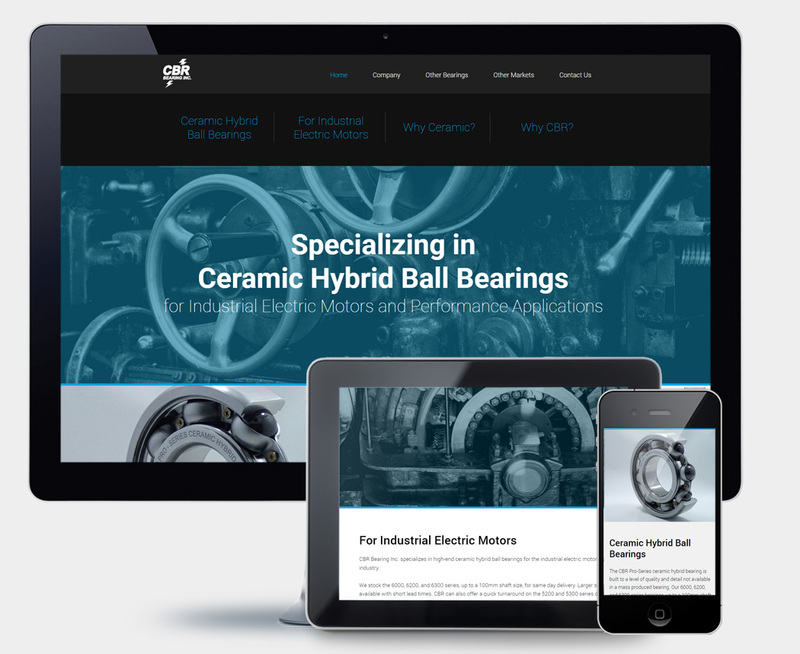 The site is also fully mobile responsive, allowing customers on modern mobile devices to learn about CBR Bearing, Inc. and the company's top quality products.